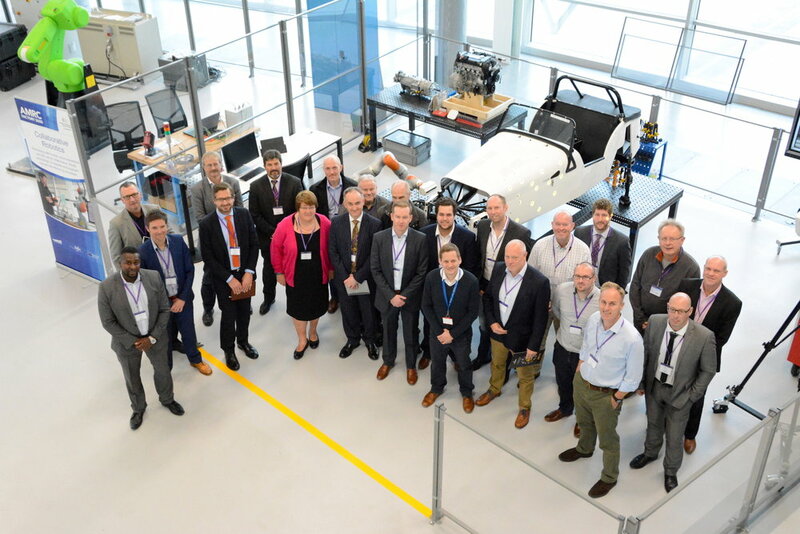 Factory 2050, at the heart of Sheffield University’s Advanced Manufacturing Campus, is home to the UK’s leading centre for collaborative research in manufacturing. This was the setting for the latest Northern Automotive Alliance event which BasePower attended last week. Digitising the Supply Chain to allow ever smaller production runs and finer customisation. Members of the NAA were treated to a talk about the research park’s activities, followed by a tour of the central facility and an insight into some of its imaginative projects. These range from automated inspection systems for 10-metre long bonded joints, via assisted reality glasses for complex assembly jobs, to robots fetching and feeding parts to humans. Several of these actually look to be on the cusp of commercialisation and we look forward to seeing some in NAA members’ factories within a few years. Factory 2050 is well worth a visit, if you can get one. More information can be found by visiting their website.